Monday - Friday 8:00a.m. - 5:30p.m. Vizella Media is a multi-platform media company located in Lansing, New York whose mission is to inform and entertain its audiences with unique and engaging content while helping its clients make a positive impression with its listeners and readers. 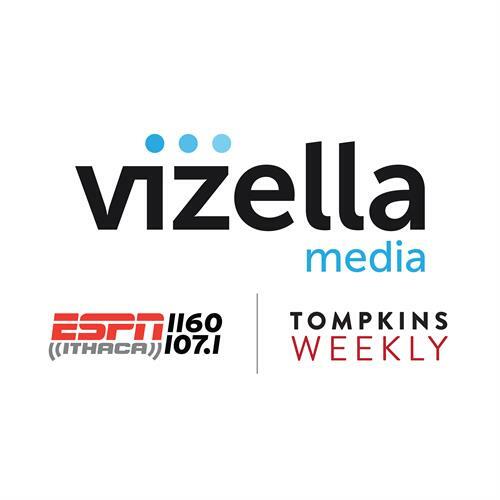 Vizella Media owns and operates WPIE - ESPN Ithaca 1160AM / 107.1FM and Tompkins Weekly. In addition to these two outlets, which also have a vibrant digital presence, Vizella Media has a vast digital portfolio that complements these locally focused radio and newspaper platforms.